Do doctors feel pressured to prescribe opioids to get better patient ratings? This spring, the CDC put out new guidelines for prescribing opioids in response to 2014 data showing 2 million Americans were abusing prescription painkillers. But since 2010, federal laws have linked hospital payments to patient satisfaction surveys on things ranging from nighttime noise levels to how effectively patient’s felt their pain was managed. Poor pain management may translate to poor satisfaction, leaving doctors in a bind. “Almost half believed that pressure to obtain better scores promoted inappropriate care, including unnecessary antibiotic and opioid prescriptions, tests, procedures, and hospital admissions,” say the authors of study of more than 150 physicians on how the surveys affected their job performance and satisfaction. Learn more here. Remember how 10,000 hours of practice was what it took to make you great at something? A new study looking at data on practice and sport performance showed what many observant parents have known for quite some time: some kids are better than others at sports, no matter how much they practice or how early they start. Eighty-two percent of sports prowess appears to be due to what researchers term “other factors.” Namely, your genetics, and interestingly, mental and psychological factors such as performance anxiety and working memory. 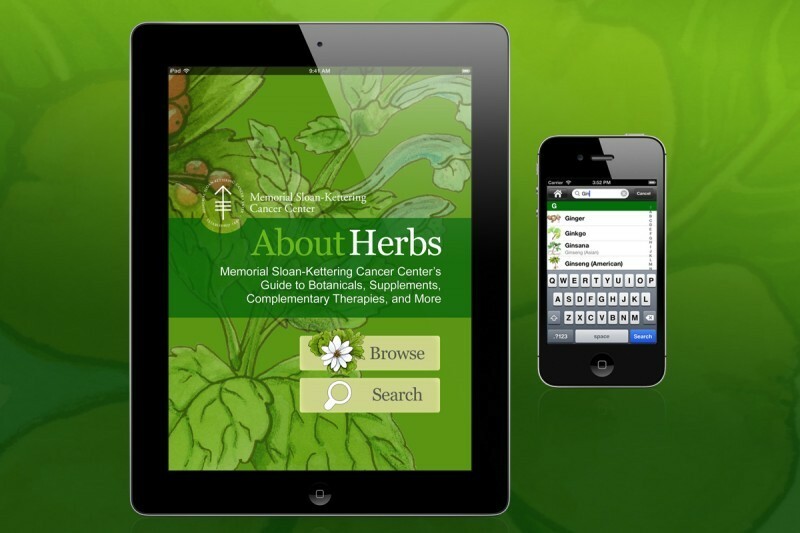 The amazingly comprehensive and free “About Herbs” app developed by Memorial Sloan Kettering helps both consumers and professionals decipher the benefits and risks of thousands of “botanicals, supplements, complementary therapies and more.” Search a substance or a symptom—it’s hard to find something they haven’t included. Or check out the featured topics. Advice for consumers is relatively easy-to-understand, and includes potential benefits, as well as interactions and caveats, but unfortunately, not much about dosing. Switch to the “professionals” mode for a more extensive scientific report.